3 mi speed inhansing training run this am. 3 easy miles, 27•, 84% humidity, 1 mph breeze. Partly cloudy. FB-W/O. 6 mi on th Porter Rockwell Trail, 33*, 3 mph breeze, 78% humidity. Pretty good winter run. 7.5 mi on the big block & DD Mt Rd. 34*, 3 MPH breeze, 79% humidity with fairly good air quality here in the “Great Smokey Valley” as the local Indians referred to the Great Salt Lake Valley! three easy miles today in beautiful 23* weather with sunshine! & a Fb-W/O at the gym.......Life is good! six miles on the DDMR, 32*, 5 mph wind, 65% humidity, Partly sunny. 3 easy miles today on the small block, 35*, lite breeze, 78% humidity, no sunshine. FB-W/O with lots of weights, sets, lifts and some great relaxing time in the steam room. 4 mi on the BigBlock, 45*, 7 mph wind, 57% humidity. 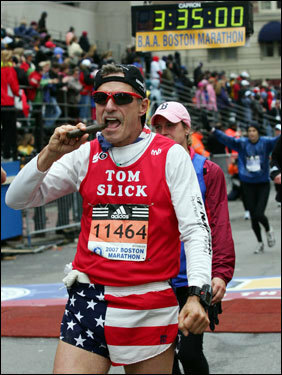 117 days till The Boston! 6 easy miles on the DDMR. Fb-W/O at the gym. three easy miles on the short block, it just started to snow, it's 32* outside w/sw 2 mph wind, 98% humidity.....and I went and got in a full body w/o. (Fb-W/O) "Life is good"! Hey you all, Merry Christmas and Happy New Year to you and yours and may the coming new year be the most healthy & prosprous ever! God bless you all! 3 easy miles on the Snowy roads of Sandy then a w/o at the LC Gym. 6 mi on the PRT with about 2” of new and falling snow. 26*, 13 mph wind, 89% humidity. Not too bad for such a gray day. I decided to take the day off so I wouldn't get too many miles in to quickly. 3 easy miles on a cold cold day, then a FB-W/O at the LC gym... 25*, 7-13 NNW wind, lots of humidity and no sunshine. 10 mi on the small block & the Mt Rd. No ☀️, a little ❄️ falling on wet roads, 12 mph winds, 78 % humidity, burning 1100 calories. 105 days & 17 hours till Boston! 1655 miles in 2017 and 185 more miles in 2018 for a total of 1840! Hey everybody, Happy New Year to you and yours and please be careful out there!